A survey from the Institute of Public Accountants has found that more than a quarter of SMEs wouldn’t have gone into business if they realised the associated stress, and that a third of those surveyed wish they had engaged an accountant earlier. After its small business roadshow and survey of about 250 SMEs, the Institute of Public Accountants (IPA) has finalised its preliminary research into the links between the mental health of SME clients and accountants, about six months after announcing its intentions to launch the major research project in June. 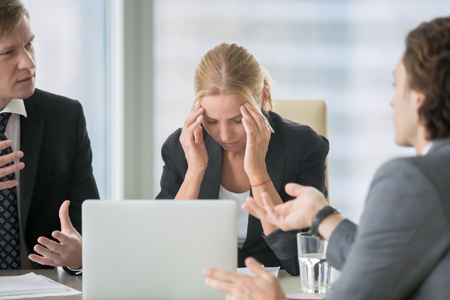 According to the survey results, 68 per cent of small businesses said that they are “significantly stressed,” and 69 per cent said that their small business is the primary reason for this stress. Further, 85 per cent of the respondents said that engaging a public accountant significantly reduced their level of stress associated with their small business. “Flipping that around, we were also surprised that over a quarter of small businesses told us that if they knew then, what they know now, they wouldn’t have gone into small business. That is quite alarming. That figure is quite an indictment on the economic and policy settings,” said IPA chief executive Andrew Conway. Thirty-five per cent of those surveyed said that they should have engaged a professional accountant earlier in the life of their business. The survey also found that over 93 per cent of small businesses rely on a public accountant for advice beyond standard compliance and tax-related matters. The full findings of the research will be released at the IPA’s National Congress on the Gold Coast this week.